Originally founded nestled in “dead man’s curve” on Isleta Boulevard in the heart of Albuquerque’s South Valley, Mark Armijo Academy, formerly known as Nuestros Valores Charter High School, was founded on the principal of providing an education in a non-traditional setting. As one of the first charter schools in Albuquerque, at the time, Nuestros Valores emphasized the importance of community in its founding and was a guiding principal for the school moving forward. A small group of dedicated, community-committed individuals had a simple idea of providing a quality education to those students seeking a more private, one-on-one approach in a small school setting. The founders of the school wanted to be different from other, traditional schools. Over the years, as Nuestros Valores grew in size and changed location, the principals have not wavered. Now as Mark Armijo Academy, the school still emphasizes community and still provides a personal approach to education, something that most other schools just cannot offer. The name changed was initiated to honor one of the men that was instrumental in creating and transforming the school over the years, Mark Armijo. 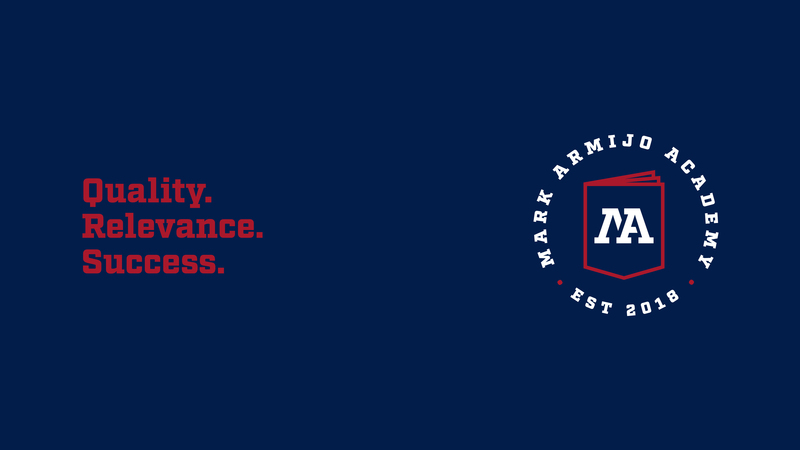 Now in its first year as Mark Armijo Academy in honor of him, we look forward to expanding our vision and goal of educating young people in a quality, relevant, and individual approach and hopes to continue this idea for years to come.